On Saturday September 12th, from 9 am to 6 pm, the citizens of the city of Mont-Tremblant are invited to join our citizen appreciation day! Continuing what is now a tradition, Tremblant will open its doors to offer a fun experience for our local community. 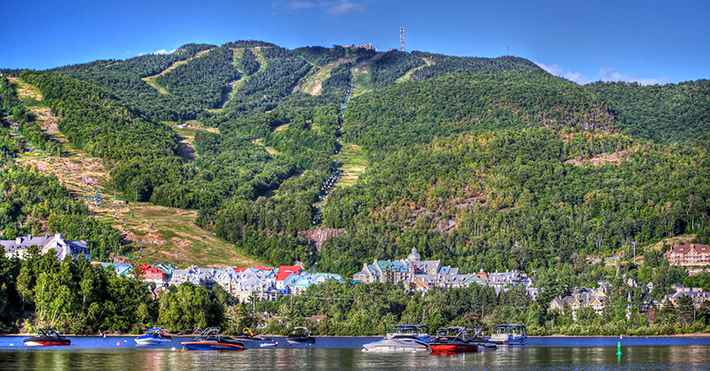 The citizens of Mont-Tremblant are invited to the Grand Manitou, on the top of the mountain, at 11 am for a meeting with members of our management team. Citizens will be able to take this opportunity to discuss their passion for skiing and the present and future projects for the ski resort. Prizes, drinks and snacks will be provided! Upon presentation of their Mont-Tremblant Citizen card, citizens will benefit from free access to the following activities: panoramic gondola, Aquaclub La Source (3 hours) and Le Petit Géant mini-golf. All summer, members of Salomon trail running club gather twice a week to run together in our mountain trails. Runners are divided into several groups, each accompanied by an experienced guide. For the Citizen’s Day, a special outing will take place from noon to 1 pm. Runners of all levels are welcome. Rendez-vous at the Rue des Remparts, in front of the Salomon store. Rendez-vous at the Lolë shop. Each participant 16 years and over will also receive a free trial for a group workout of choice for the fall 2015 session. New this year! A draw ticket per person will be issued for every activity participated. Good luck! The City of Mont-Tremblant is proud to contribute to the event and will offer free public transportation (TCMT) to all its citizens between 9 am and 18 pm. 18 pm – Outdoor Hot Tub open to all!